Taaqiy Grant is the Executive Producer of two groundbreaking documentaries, NUBIA – the untold story and the Tekhen – Uncovering the influence of Ancient Egypt. 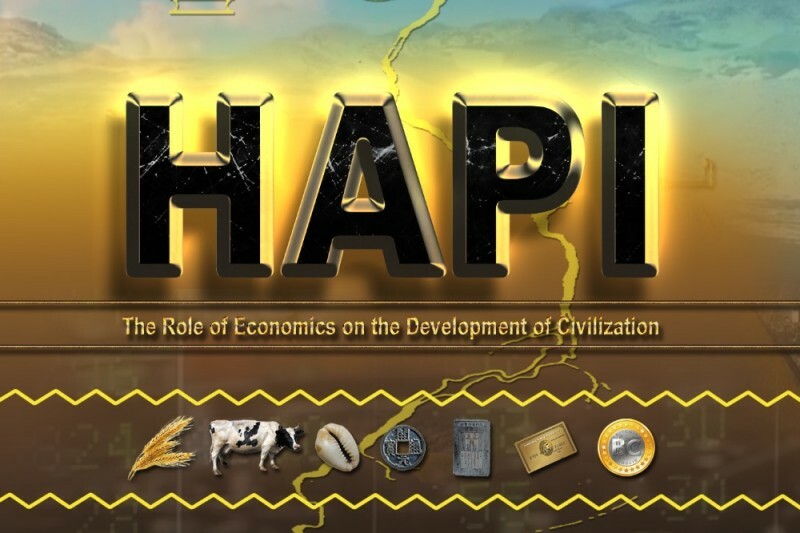 The upcoming documentary entitled HAPI details the Role of Economics on the Development of Civilization. HAPI is the earliest name known for the principle the Ancient Egyptians described as the Nile River. The film begins by exploring the role of the Nile and its importance in the development of civilization. The film then moves forward to discuss the development of Western civilization and its economic foundation. Throughout the film we will also examine how this history directly impacts us today. In an effort to complete this project we're bringing together some of the brightest minds in psychology, history, and business to explore the “BIG PICTURE”, tying together the history of world economic development to our present socio-economic condition. HAPI investigates the failure of a consumption driven Black economy through the lens of cause and effect, from systemic poverty, disenfranchisement and the decline of entrepreneurship. HAPI addresses many complex problems and suggests innovative ideas for successfully competing in the global economy. This project isn’t just about the past. It’s about you and me, right here, right now. Understanding is the key to making changes for the better. Support HAPI and let’s discover how we can make a breakthrough together. Thank you! Harlem, NYC - Maysles Cinema on Saturday January 28, 2017. The event will be from 6pm to 10pm. Our sincerest gratitude for your contribution and if we meet in public (at a premiere or otherwise) you will receive a hearty handshake of thanks. You will receive exclusive updates on the progress of the HAPI documentary via email. You will receive a special thanks on the HAPI film website as well as a 24x36 HAPI movie poster. You will receive a special thanks on the HAPI film website as well as a personal copy of the HAPI documentary DVD. You will receive a special thanks on the HAPI film website, a 24x36 HAPI movie poster and a personal copy of the HAPI documentary DVD. You will receive a limited edition autographed 24x36 HAPI movie poster, the Exec. Producer's 3 documentary series and a special thanks credit in the film. Ability to meet the film's EP and select interviewees as VIP at one of the private film events. Also the poster, 3 documentary series and special thanks credit. Receive AP film credit, autographed poster, 3 documentary series, meet film EP and select interviewees at a private event (3 tickets) Also work with HAPI team. Receive Co-EP film credit, special film thanks, poster, 3 documentary series, meet film EP and select interviewees at a private event (5 tickets). I donated because I believe this film will positively impact the world in a marvelous way.